Welcome on this website. If you want more information than you can contact freely by mail or telephone by the breeders on this page. You can help to save the Traditional Siamese, to protect, promote and attempt to show them as a breeder or fancier. 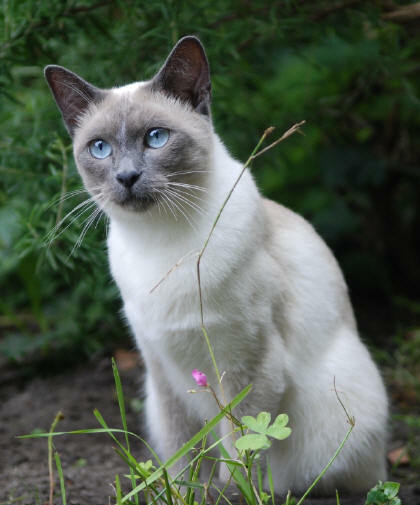 Or do you want to be in touch for developments in the recognition and breed standard of the Traditional Siamese or Thai by the cat associations in Holland. One of our main purposes is to assist others in finding a kitten or a stud cat. Breeders and fanciers of the Thai (Traditional Siamese) can put information on this site about their pedigree cats and we have a database of people who are waiting for a kitten. Breeders who have a litters use this database to contact the waiting people.